Have you ever wondered what chemicals are in the pool you swim in? Do you have a pool of your own and are not sure what chemicals are important? With hundreds of people going through your local swimming pool like on a car assembly line and with your own pool probably being exposed to outside weather, there needs to be some system for the pool water to stay clean and not turn into an algae infested murky puddle. The intelligent futuristic system is called pool chemicals. 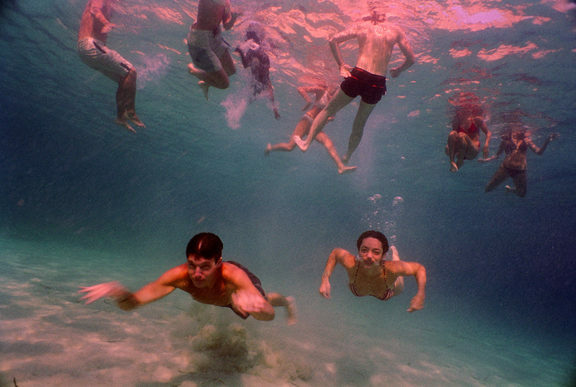 The advancements in modern chemistry science is what allows us to swim in crystal clear waters all year long without the worry of any infections or skin diseases. 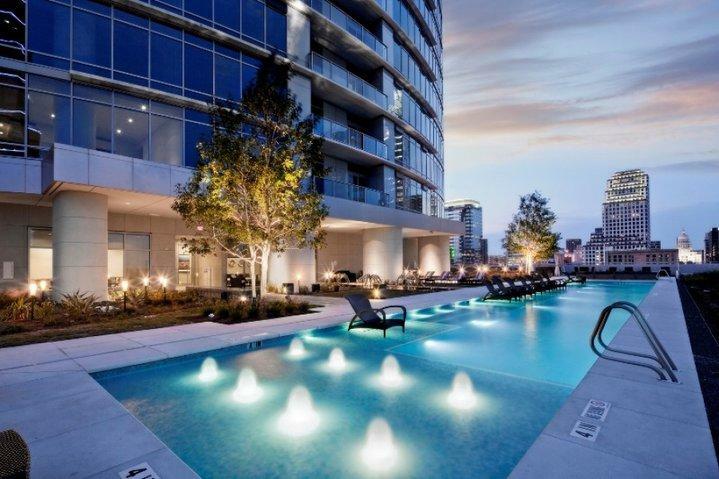 This is a guest post by Scott H, and The Staff of Crystal Clear Pools & Spas in Austin, Texas who are renowned area experts in pool cleaning, maintenance, repair and renovations. Before you can enjoy the cool refreshing water of your swimming pool, you must first understand the simple, yet very important nature of pool chemicals. In order to ensure a clean and hygienic pool, and to make sure your water is safe for day long poolside adventures, certain chemical precautions have to be made to the pool you swim in! Pool chemicals are needed in pools because they keep the water safe and free from harmful bacteria. The art of adding chemicals to a pool is a delicate task however, due to the fact that if you add too much of one chemical, you can cause problems, and vice versa for adding too little chemicals. Some combinations might even turn your pool into the neighborhood science experiment, so it is very important to know the pool chemical basics. Chlorine is used to kill germs and bacteria in the water. Chlorine is also the key component in making swimming pool water safe. Be safe - never mix up different type of chlorine, or any other chemicals, and always add chemicals to water, not water to chemicals. There are other types of sanitizer such as bromine, ozone or biguanide, but chlorine is by far the most popular and some of the sanitizers are not compatible with some pool types. An algaecide is a pool chemical that kills all algae that is in the pool. An algaestat on the other hand is used to make the conditions unfavorable for the growth of algae. This prevents green and murky pools. pH Control: Can I borrow your baking soda? Pool pH levels should stay between 7.2 and 7.8. If the pH is too low, you can use soda ash or baking soda to quickly raise it up. (Note from Swimator Blog: You could sometimes see the pool maintenance man or lifeguard dumping bags or boxes of a white powder into the water. Now you know that it is probably baking soda.) If it is too high, muriatic acid or sodium bisulfate can lower it to safe levels. The pH level is important in keeping your pool fresh and safe. Water clarifiers and flocculants help particles floating in the water attract to one another and get filtered out or sink to the bottom of the pool. This makes it easy to vacuum the particles out of the water and keep your pool sparkling clean. Calcium can have major affects on pool equipment when kept too low or too high. In order to best maintain your pool and its equipment (such as pool steps, drains, gutter, lane lines etc.) calcium hardness levels should be kept between 250 and 400 ppm. More about the team at Crystal Clear Pools & Spas: They have been installing pools for decades, and pride themselves in creating and installing high quality pool environments in your backyard that not only look amazing, but cool you down in the hot summer months. From Swimator Blog: Don't be scared though. All the talk of chemicals in the pool can be a bit overwhelming and frightening, however, it is normally perfectly safe to swim in a pool. You can rest assured that your local swimming pool is probably doing a pretty fine and regular job of adding the appropriate chemicals into the pool and if you haven't heard of any stories where people's hair fell out after a swim then it's just fine:). (Note: wearing a swimming cap does not prevent your hair from getting wet) In most western countries, there are random health inspector checks performed throughout the year, so pools need to adhere to certain standards. If you are unsure about swimming in some pools, try asking the lifeguard about their chemical procedures or just quit being paranoid and jump in :). When you get out and your skin starts turning red, only then it is the time to go see the doctor. If you have your own pool and would like to learn more or become an expert in pool chemicals and pool maintenance, there are usually courses available to get certified in keeping a pool chemically safe. You can for example become the Certified Pool Operator. If you think you had enough of the chemical talk for now, why not forget about the pool and go play the new Michael Phelps game on Xbox 360. 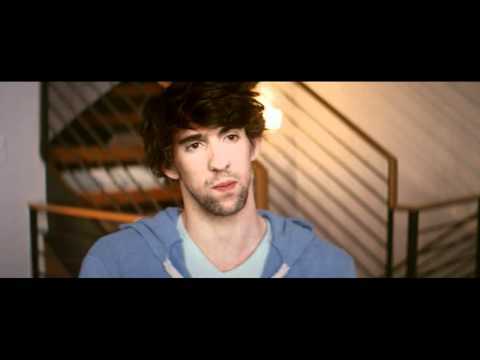 Michael Phelps - How a short movie can help you swim? As much as I don't really care about what goes on in Michael Phelps' life, he makes a couple of good points in the movie which relate to learning to swim. 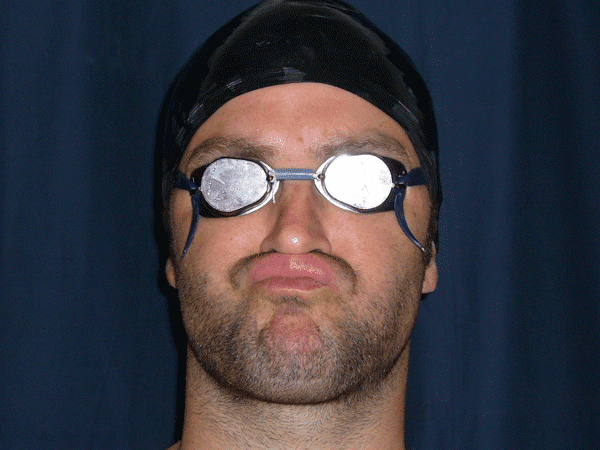 a) He says: "I started swimming when I was 7 and first couple of years I was afraid to put my face in the water, I just wasn't comfortable. Eventually I just put it in and off I went." Remember when I was telling you about being as a log in the water, well there you have it spoken by the greatest swimmer of all times. I am not just making this up, swimming with the right body position is a key and if you are struggling with it, just remember that even the unbeatable Michael Phelps ones had the same problem. So, get that head in and forget about how other people around you swim. b) He also says: "As soon as I walk into the door, everything else that is going on in my life does not matter. It is like my brain shuts off. I don't have to think about anything. I am there to swim. That's it." Does that ring a bell? Swimming is a great relaxation and a form of escapism, but don't take Michael's words literally. He is not implying that when he gets into the pool he stops thinking all together. He probably analyzes every stroke he takes. Does he have the most efficient arm catch, is his body balanced properly. In other words, he practices mindful swimming which takes some effort and concentration to master. So, if you are struggling or are frustrated with your swimming, don't beat yourself up. We all have been there at one point or another, just take a different approach or change something from your swim routine and you will see that you will move on and enjoy swimming even more. Choosing the right swimming lesson program is not as simple as signing up at your nearest swimming pool. Well, it could be, if you don't mind the potential of being disappointed. In order to get the most out of your swimming lessons experience, you should consider a few important aspects before you join in. First, you should assess your swimming skills. In other words, be honest with yourself about what you can do in the water. If you have zero swimming skills or are afraid of water, don't be embarrased by that, you will only slow down your progress if you try to artificially bump up your skill level. Learning the basics first and practicing them over and over is the key to success. After you have evaluated your swimming skill level, then it is time to set some goals. It is always good to have a goal in mind before starting swimming lessons. The goal should be achievable and realistic in my opinion, but not something that you can master in 30 minutes. The goal should keep you motivated, push you and it also should give a better idea to the swim instructor in terms of what you'd like to learn and how he/she should adjust swimming lessons so you are able to succeed. It is better to set intermediary goals during your learn to swim path, so you can track your progress better. For example: If you are afraid of water, set yourself a goal to learn how to relax and float without the sinking panic in your mind. 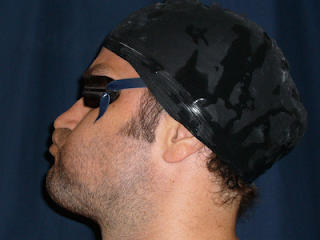 Then when you master that, go a bit further and mark a goal to swim one length of the pool in any stroke. After that, why not shoot for lowering the effort it takes to swim that far etc. etc. After you set your goals, it is a good idea to discuss them with the swim instructor and adjust them according to their feedback. When you figured out what you want to learn, it is time to start thinking about how you want to learn it. Some people prefer learning to swim on their own. This approach has become more popular with the Internet age and it could work well as long as you follow a good swimming lesson program structure (on DVD or online) which allows for this type of learning. I'd however argue that at some point you will still need an outside person to evaluate how you are doing and adjust your swimming skills to be more effective and efficient. One crucial problem with learning to swim on your own is the fact that every person is different in the way they learn and in their physical ability, so you might end up spending a lot of money and time before you find the right swimming lesson program for you. Unfortunately, there is no one way to learn to swim. There are guidelines and loosely defined steps that many swimming instruction DVDs follow, but remember, these products are targeting the mass market, so if they work for one person, they migh not necessarily work for another. These instructional videos are also made with a simple idea in mind where you need to first master skill 1 before moving onto skill 2. This approach makes sense, but sometimes proves to be challenging and even impossible for many people. So, if you do plan on learning to swim on your own, I'd summarize it to the following recommendation: If you are just starting out, learning on your own can be tough and not recommended as your only learning path. If you are a bit more advanced in swimming, learning new skills on your own gets easier, but try it before you buy it :). Learning to swim in private (one on one) or in group swimming lessons is the way to go for majority of us. Private swimming lessons, meaning that there is one instructor for one or two swimmers, could be a bit more expensive endeavor at first, however, the rate of learning is much higher and more flexible. So, in reality the return on your investment is much higher in terms of saved time and frustration since you'll learn to swim much quicker. 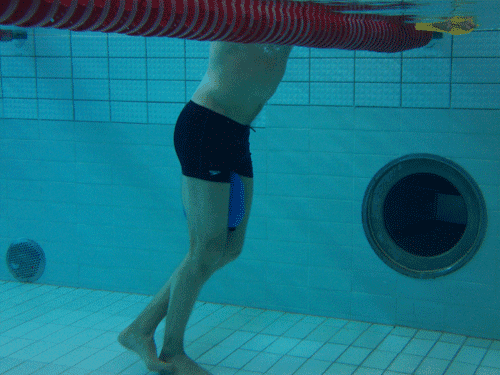 (If you live in the Helsinki area in Finland, I do teach private swimming lessons as well as provide video analysis of swimming strokes) On the other hand, in group lessons there can usually be 5-20 swimmers who are all following the instructor's advice, so there is not much hands on activity, however, they are much cheaper. The rule of thumb that I'd use here is that if you don't mind paying a bit more money at first, definitely go private. You will learn more in less time, so in long run, it actually could be a better investment than taking numerous swimming lessons. 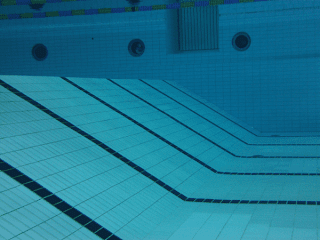 If you have a hydrophobia (fear of water), I'd recommend private lessons as well since you can advance in overcoming your fear on your own pace. However, no matter what lessons you choose, I'd strongly suggest exploring miscellaneous online swimming resources that are out there. You never know, maybe you will pick up the right explanation which will make sense to you in one of them and this will make the particular swimming skill a bliss to master. If you have the time and luxury of choosing between more than one swim instructor, it is a very good idea to first go and observe the particular swim instructor at work. What you should look for is the enthusiasm with which the instructor operates. Does the instructor only stand on the pooldeck throughout the entire swim lesson or does he/she get in the water with the swimmer to show and explain the different techniques? How many students are in the swim classes? Does the instructor pair you up with someone during the class, so you can correct each others' mistakes or you are left all alone? Is the instructor supportive and patient in educating the new swimmers? If you like what you see, why not take a few swimming lessons to start with and then see how it goes. If you are not very happy, then look for another swimming lessons program that will suit you better. Remember that swimming is a priceless skill to have and no matter what path you will choose on your way to improve your swimming skills, you can learn to swim if the choice is wise. However, is there one recipe on how to learn to swim that works for everyone? Definitely not. We are all individuals, so we all need an individual approach to swim learning in order to achieve our swimming potential. So, don't loose hope, get out there and get swimming.